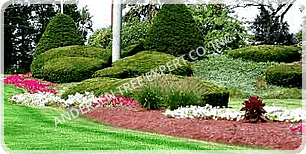 Tree Removal: Our team has over 40 year experience perfecting the art of tree removal. With the proper use of ISA standards we can take down any tree. No tree is too large for this award winning crew. Artistic Design Pruning: Pruning is the art of removing all dead, weak and dying limbs throughout the entire crown of the tree. 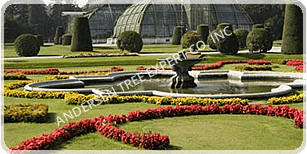 While following proper ISA techniques we can prune any tree to optimize the health, safety, and appearance of your arboricultural specimens. With a thorough analysis of the tree we can provide missing essential nutrients to the root zones of trees and shrubs. Our arborists determine precise intervals based on the specific needs of your landscape. Variables such as tree species, soil conditions; tree age, tree diseases, health, location, weather and stress conditions all factor into the tree fertilizer formula that your arborist develops for your property. Seasonally, fertilizer is needed. Stump Removal: We can quickly and efficiently remove any stumps from your yard. Just call for your free quote today. Lightning Protection: Andersen Tree Experts offer lightning protection systems that can minimize the risk of damage from a strike. These systems use copper conductors connected to a ground rod to reduce tree damage and conduct the electrical charge to the earth where the energy is dispersed. Our systems have an excellent record of protecting trees and they reduce the risk of a side-flash to adjacent structures. Cabling/ Bracing: Cabling and bracing may help support a tree, and possibly help avoid having to remove the tree. Cables and brace rods are structural supports strategically placed between major limbs to reduce strain, and help support the tree. Cabling also helps reduce stress damage from lost structural integrity, pests, disease, high winds and excess ice or snow weight. Cables generally consist of extra high strength steel and are attached to bolts installed in the upper crown of a tree. They are intended to limit the movement of the supported branches so they are less likely to fail during storms. 24 Hour Storm Damage: Andersen Tree Experts have the resources and expertise to handle any type of tree removal. If a large tree is on your structure (home, car, etc. ), contact us any time day or night to have it quickly and safely removed.